What is a word counter tool? When it comes to the word count tool, don’t mistake it with simple counting of words that you calculate with software. These are even online tools with the capability of counting words in content more precisely Rather than just calculating the characters & total alphabetic words, they are also meant for reporting them in depth. Word counter is a simple online tool that counts words and characters exactly present in the content. You just need to copy and paste into the text box, then it is calculated automatically for a click of the submit button. The tool will run on the back-end and displays the number of words and characters within seconds. The tool will be very useful for content writers, blog owners, forum posting, website, social media analyst and much more to check an exact number of words and characters in the piece of content that you have written for marketing. The tool is built with present supports all types of browsers like Chrome, Firefox, Opera, Internet Explorer 11 without any technical problems. The process of digital marketing comprises of numerous small & big strategies that combine together to obtain something productive. One of the most important thing that rules all over online marketing strategies is content. It is a well-known fact that “content is the king” when it comes to online promotion. When you are not personally present at a location for promotional purpose, your content works for convincing people towards a product, service or a piece of information. Every content has a specific limit that is counted in words. Text material like articles, blogs, guest posts, social media ads & Google ads has a specific parameter of words. For instance, if you want to promote something on Twitter, there will be a total characters limit of 280. Add any hashtag, emoji, digit or alphabet, the limit cannot be exceeded. It is the responsibility of a content writer to customize the content according to the objective & platform of marketing. When someone is assigned to write content, it is important to count the words exactly as per the requirement. For this purpose, the word count tool is playing a great role. What does a word counter tool mean? For the ease of users, some service providers also offer source code. You just need to copy it and integrate with the website that requires a word counting tool. It will automatically adjust and monitor every single detail deeply. Why do we need a word counter tool? Helps content writers, bloggers, to find an of words so that it would be helpful. When a writer writes a set of paragraphs then this tool is easy to identify the required words and eliminate remaining words. The tool is also helpful in identifying on page content factor of checking competitor’s content and the required website. The tool is very optimistic in finding required characters for on-page optimization like Meta tags (title, description) length. Word counter also can be used for checking the characters for PPC campaign strategy. The word counting tool has a great significance of professionals who are in writing business or digital marketers. Every article, guest post or ad has a limit. You cannot go beyond the parameters that are already set for a particular website. Therefore, a tool is required that can guide you with the real-time stats regarding the number of total words or characters. Scroll down to know its significance for writers and marketers. Content writers: They are the professional writers who are trained to produce all kinds of text contents according to the requirement of marketers. The SEO executives assign tasks such as articles, blogs, classified descriptions, social bookmarking or image sharing text. There is a limit set at every platform that you need to follow. Text beyond the limit is useless and it will affect the entire content quality. Therefore, they have to end it in limited words with a satisfying conclusion. Some contents need precision in specific characters, words difficulty and number of sentences etc. these tools are capable of counting everything perfectly. SEO Executives: Digital marketers like SEO executives are responsible for updating the content provided by content writers. While updating, some issues may occur regarding the length of sentence words or characters. They can use this tool to alter the content in order to make it compatible with a specific platform. Online advertisement experts: PPC (Pay Per Click) is a traditional method of paid promotion that has different parameters regarding the ad length. All Google ads executed through PPC campaigning have different parts such as heading, subheading, and description sections. Alphabets are counted in characters that cannot be exceeded. Therefore, they need a tool to count everything with precision. The same thing is applicable to social media ads and forum submissions. Word counter is the key to calculating a number of words for off-page optimization factors like directory submission, social bookmarking, blog/article submission, pdf submission, email marketing etc. 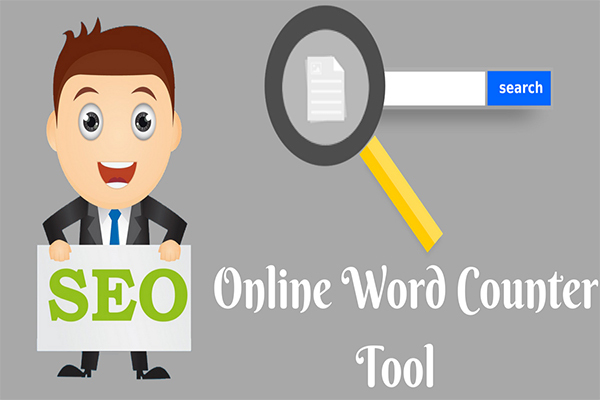 To check your content of many words and characters are there in the content, just copy the content and paste in the box then click the submit button, the tool analyses and shows the result of a number of words and characters in the content. The tool is built with small code to calculate respective words and characters for the given input of text with the click of a submit button. Word counter tool is very simple as well as productive enough to give you an idea of setting limit before writing. As a content writer, you receive assignments of clients including different parameters for every content. Some of them are simply specified in a number of words, but some require more precision. They ask the writers to not go beyond a limit of difficulty level in percentage. Length stats of words are also pre-defined for both long & short words in percentage. These tools also conclude the readability status of content on the basis of easy and complicated words. Some grades are defined according to the readability quality of content such as 10th grade, 12th grade & graduate grade. After writing the entire text, one can paste their text in the word count tool to check whether the parameters are according to the client’s expectation or not. The tool of words counting is not difficult to operate. You just need the knowledge of some feature-rich platforms where information is provided without any unnecessary formality. There are top rated word counter tools that you can try online with many more features. You can check all of them and finalize the right option according to its functions. Whenever you open an online tool of words counting, a blank space will appear on the top. You can copy & paste the text directly in that field. Also, users can write their text directly in the box and the tool will automatically record every statical data including total words, characters including space, characters & characters excluding space. The words that are not included in the list of top 3000 familiar words in English vocabulary are classified as difficult words. The word that appears once in the entire text is known as a unique word. When the words are ended with a full stop, a sentence is completed. Any printable or non-printable character such as the alphabet, hyphen or space that you press on the keyboard is considered as a character. The vowel pattern in a word calculates its number of syllables. The average word length and sentence length is concluded by dividing the total number of words and sentences. 200 words per minutes is a parameter set for defining the reading time of a text. Speaking time is defined as 125 words per minute. Dale-Chall score formula is implemented to calculate the level of readability. Apart from this, some tools are also equipped with parameters for different social media platforms. The word counting tool is meant for those who play with words to make them influential and compatible according to the requirement. Here is a list of some advantages that you can expect in a word counting tool. Clients pay for what they ask. Writing excessively beyond the limit is not going to impress them enough to pay you more. Therefore, it’s better to set the limit in advance in order to prevent writing unnecessarily. If the text goes beyond a specific limit, sometimes, you are asked to edit it with a short conclusion. While working on the projects of advertisements and promotion, marketers need to follow a specific parameter of characters. Exceeding some words in an article or guest post is tolerable, but not in these promotional activities. You cannot go beyond even a single character of limit. Before pasting the text in the required space, it’s better to check the characters length including space. The online tools of word counting can perform these tests easily. Every content is meant for targeting a specific age group. It is obvious that the intelligence level of a person generally depends on his/her age. A small kid of 5th standard cannot understand academic level reports. This is the reason why some levels are set for readability. The higher readability score represents more ease of understanding. You can edit the article according to client’s requirement and check for readability score. Apart from these features, these tools can also calculate the sentences and number of words included in a sentence. It also implies a great impact on the readability score. From the above information, it is clear that these tools are helpful if you are a content writer or digital marketing expert. Most of them are available for free of cost and helps in sharpening your writing skills.